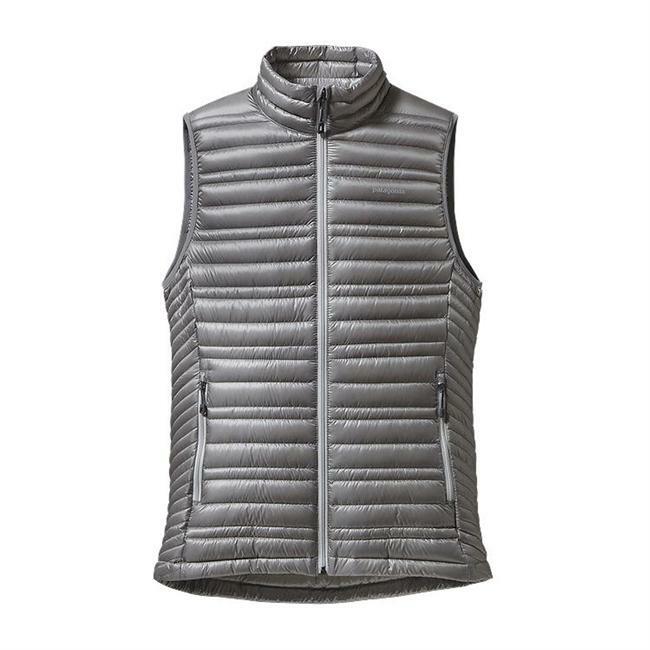 With 550-fill-power goose down insulation and a durable water-repellent finish to protect you, The North Face Womens Holladown Crop Vest makes any winter day warmer. Goose down is certified to the Responsible Down Standard (RDS) by Control Union. All-over pin-tuck quilting eliminates cold spots for maximum loft and cold-blocking efficiency. Oversize collar extends weather coverage. 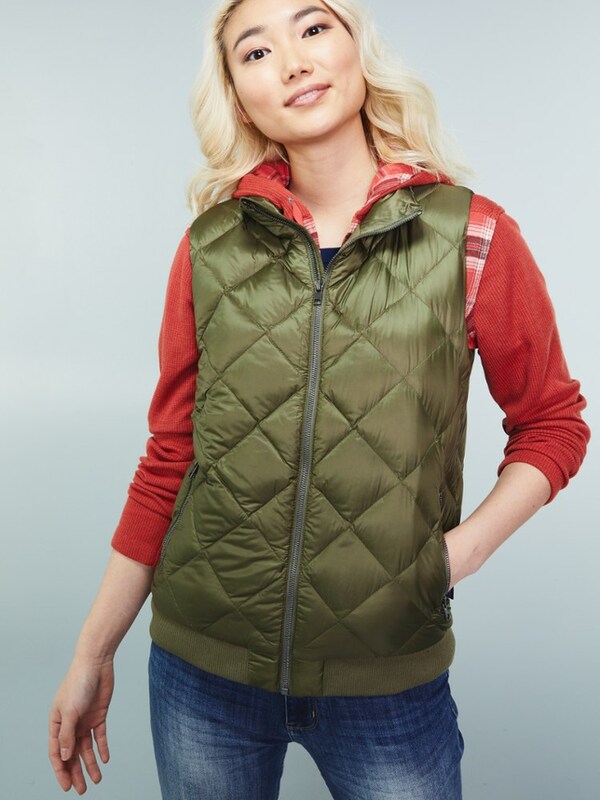 Hidden center-front snap closure protects zipper opening. Vislon zippered hand pocket. Embroidered logo on left chest and back-right shoulder. Nylon taffeta shell with recycled polyester taffeta lining and goose-down insulation. Imported. Sizes: S-XL. 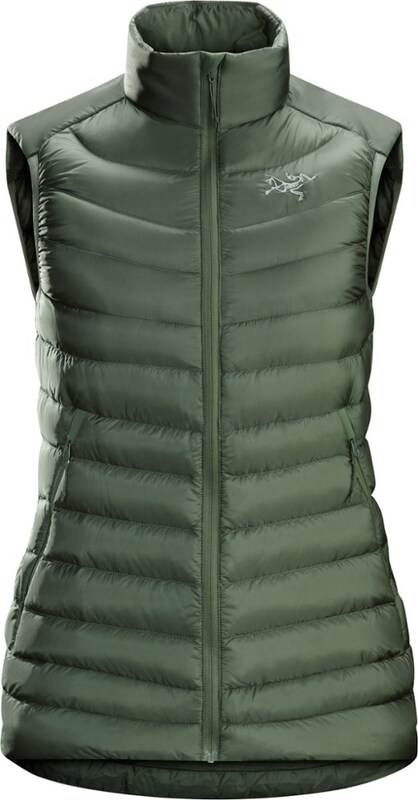 Colors: Asphalt Grey, TNF White (not shown). Size: X-Large. Color: Asphalt Grey. Gender: Female. Age Group: Adult. Pattern: Embroidered. Material: Polyester. 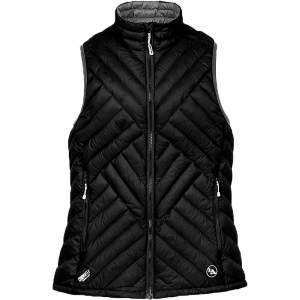 Type: Vests.